No contest here. Judging from last week’s comments, it seemed like Edward Scissorhands would be the odds-on favorite, and sure enough it was victorious. I am ashamed to admit that I have never actually seen that movie, but all of these votes make it clear I need to do so soon. Good stuff guys, and it’s nice to see a handful of other films receive votes as well. THIS WEEK’S POLL: What *two* June movie releases are you most looking forward to? I am making this a multiple choice poll because I have a pretty good idea of what will win this one. Prometheus and Safety Not Guaranteed for me! Oooh, good call on Safety Not Guaranteed! Forgot all about that one. Brave and Prometheus (although I wouldn’t have felt bad about voting for Rock of Ages because I’m a theater geek). Thanks for the shout out for the Tournament by the way! The obvious first choice is Prometheus but for the second I am going to have to choose Seeking a Friend for the End of the World just because I’m interested in seeing an end of the world in 2012 movie that is not catastrophic and somewhat light-hearted. I am interested in Seeking a Friend for the End of the World as well. I’ll watch Steve Carell in anything, even if it means having to deal with Keira Knightley as well. Plus, as you said, the concept is pretty cool. Thanks for sharing your thoughts! Can’t say I’m a fan of Tim Burton so the collaborations between the two are usually things I tend to avoid lol. As for the new poll, it’s easy: Prometheus and Snow White! I think Brave will be good but the more I see Disney’s poor marketing of it, the less I’m excited for it. I know I’m in the minority, but I’m not terribly excited about Brave. Not sure how I feel about Snow White either, actually. Could be really cool, but Kristen Stewart is always a red flag for me. 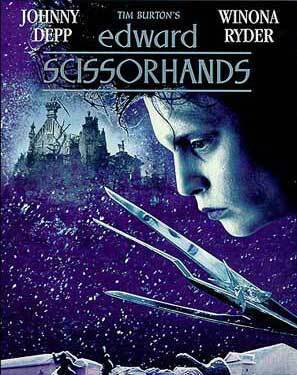 Edward Scissorhands is certainly among my favorite Burton films! Nice to see the one like Scissorhands winning. You and me both, man. Did you pick a second movie, too? As for your new poll, man there are sooo many good ones but I voted for BRAVE, Prometheus a very close second! Haha well I’m glad you didn’t miss these polls either! Prometheus and Brave look like the top choices so far — will be interesting to see any other candidates make a push to the top this week. It’ll be hard to top Prometheus I think, though I’m curious to see whether the Pixar movie will come out on top box-office wise. I’m quite surprised Ed Wood didn’t get more votes. My most anticipated in June are Prometheus and SWATH. Yeah, I think a couple others predicted Ed Wood would finish second overall. I wonder if it’s a case of not everyone having seen it…? I’m with you on Prometheus. Cannot wait to see that one! I was looking forward to Dark Shadows but the negative reviews have definitely put me off. My favourite Burton/Depp collaboration is definitely Ed Wood – what a great film. I also really liked the Charlie and the Chocolate Factory update. But Edward Scissorhands definitely stands out as their defining moment. I’m right there with you about Dark Shadows, Dan. I was somewhat curious to see it, but all of the negative reviews have me doubting it’s even worth a rental. Glad Edward Scissorhands won. Worthy film! As for this week’s poll, gone for the obvious (Prometheus) and SWATH. I am REALLY looking forward to Brave, but clearly the marketing bods for SWATH no what they’re doing because they’re pulling no punches as it gets closer to its release date.